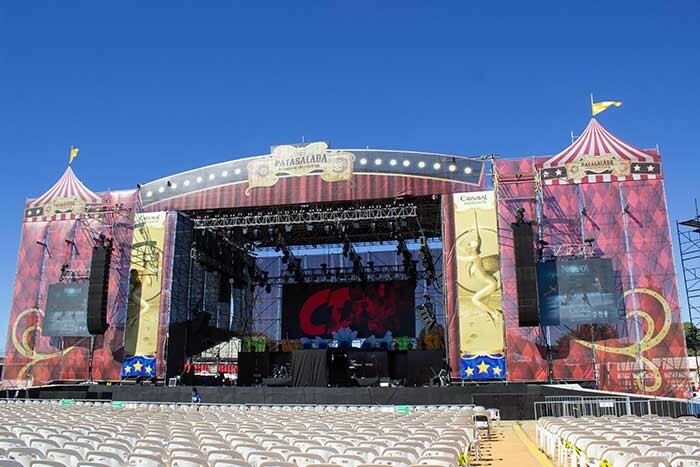 Mexico – Located in Pénjamo Guanajuato, Mexico, Producciones Lemus, a leading event production and rental company for major festivals and musical productions throughout the country, now includes a large number of Martin Audio MLA, MLA Compact and related products as part of its inventory. In addition to Martin Audio, Producciones Lemus also represents leading brands such as Claypaky, Martin Professional Lighting, Shure, Sennheiser, Yamaha, Digico and Avid. According to CEO Paulo C. Lemus, the company started out 28 years ago supporting regional bands specialising in Mexican ‘Sonidero’ style music. “We now provide large sound systems for massive musical events and leading South American artists throughout the country and we’re opening a new office in Mexico City. “We started with other speaker brands, but I fell in love with Martin Audio W8L and W8L Longbow systems years ago and was eager to acquire MLA and MLA Compact to meet the demands of today’s productions. We now have a total of 92 MLA, 42 MLA Compact, 40 MLX subs, DD12 and XE Series stage monitors along with iKON amps. I love the sound of Martin Audio and am already thinking of increasing our stock to fulfil bigger production requests. Summarising, Paulo concludes: “With their incredible technology and company mission to provide the finest sounding, highest quality loudspeakers, I’m happy to endorse Martin Audio as the best value brand.